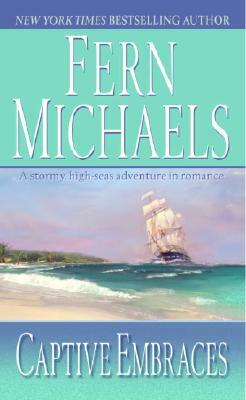 Bestselling author Fern Michaels has thrilled generations of readers with her glorious love stories and sweeping romantic sagas. Here is a classic historical tale of passion on the high seas as one woman dares to win back the man who stole her fortune–and her heart. . . . Proud and beautiful Sirena Cordez once commanded her own ship, battling pirates to avenge her sister’s brutal death. But Sirena’s life as the Sea Siren ends when she meets Regan van der Rys. Handsome, ruthless, and as fearless as she, Regan is the only man who can possess her body and soul. Once enemies on water, they become lovers on land until their marriage is shattered by heartbreaking tragedy. Abandoned by her husband and left to face an uncertain future, the Sea Siren hoists sail again, embarking on a passion-filled voyage to reclaim her destiny. Fern Michaels is the New York Times bestselling author of the Texas quartet of sizzling contemporary novels Texas Rich, Texas Heat, Texas Fury, and Texas Sunrise. She is also the author of For All Their Lives, Serendipity, Seasons of Her Life, Desperate Measures, and To Have and to Hold. Fern Michaels lives in South Carolina. She has five grown children, two grandchildren, four dogs, and a passionate interest in historic houses. She also is an animal rights activist.